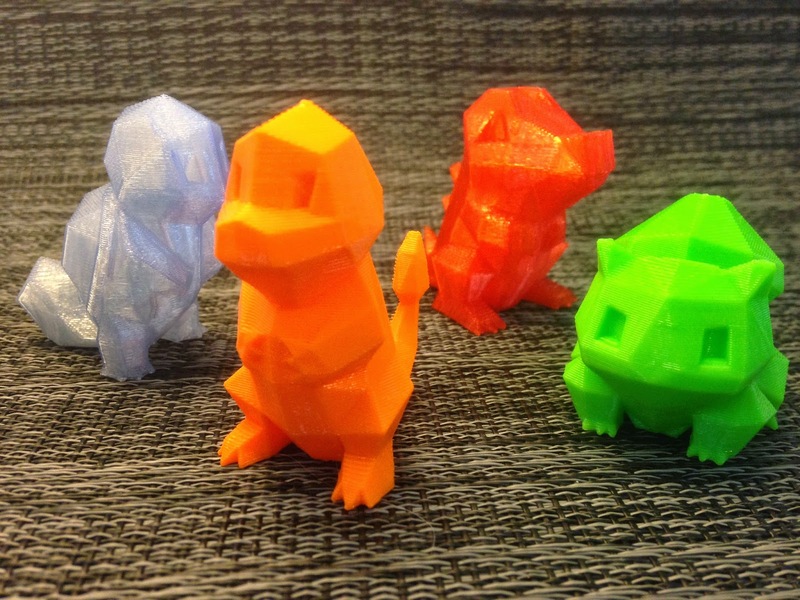 Can you print just two Pokemon models for a 9-year-old? No. Two is not enough. You must print many, many Pokemon and then also print a full set for a friend's birthday. Today we are joined by FLOWALISTIK's Low-Poly Squirtle and Low-Poly Totodile models from Thingiverse. I'm really impressed with all four of these models. They are each designed to print perfectly without support and utilise extremely efficient choices of low-poly faces. Great design work by FLOWALISTIK, just please don't make me print any more of these right now.